Setting up your RV GPS for your next trip can be a little daunting, particularly if you recently bought a new model and have not gotten used to it by now. The challenges faced by RV drivers are many and can range from tunnels and bridges to narrow roads and raised railroad tracks. Therefore, you need to get a unit you can use to set the dimensions of your vehicle. You’ll have to customize the GPS in accordance with the gross weight, the width, the height and the overall length of the RV. Some models are more versatile compared to others, in the sense that they allow their users to set an RV setting. After providing the previously mentioned dimensions, the unit is capable of adjusting the trajectory of your trip depending on the size of the RV. Take the time to explore the user interface of your GPS and make sure you don’t leave anything out before leaving home. Several models we have consulted come with a real-time weather information feature, which can definitely come in handy for people who don’t want to run into any tornado. Each interface is different, depending on the manufacturer of the GPS. An interface from a Garmin GPS might significantly differ from a Rand McNally one. However, with most of these devices, the user will be able to select the destination and then visualize a menu of RV Travel-centric icons. 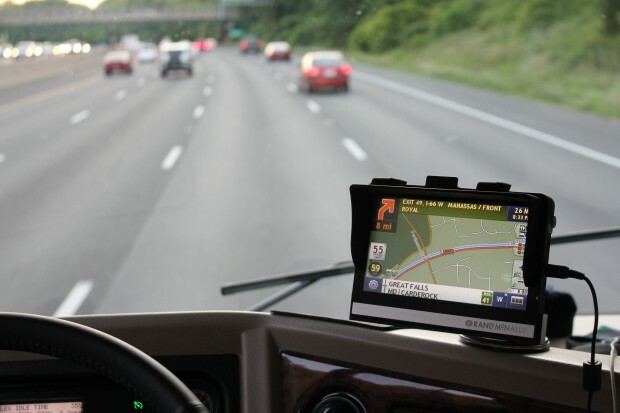 All RV GPS’s should somehow have been customized by their manufacturing brands in order to speak to RV owners and users, which is why they inevitably have to feature some RV parks and RV services. Furthermore, most of these GPS’s can display a number of RV points of interest right after you’ve let the unit know where you’re going. It goes without saying that the model should be smart enough to customize all the points of interest according to the size of your vehicle. If you are having trouble focusing on the road and the map because there are simply too many amenities, most of the devices we have consulted might allow you to select the ones you absolutely need. The map will therefore turn out looking neat and you’ll be able to visualize your trajectory a lot better, without ever feeling distracted by the small icons on the left or the right of the road. If you ever change your mind about the amenities you need, all you have to do is press the reset button and you’ll find that all the campgrounds are once again accessible. 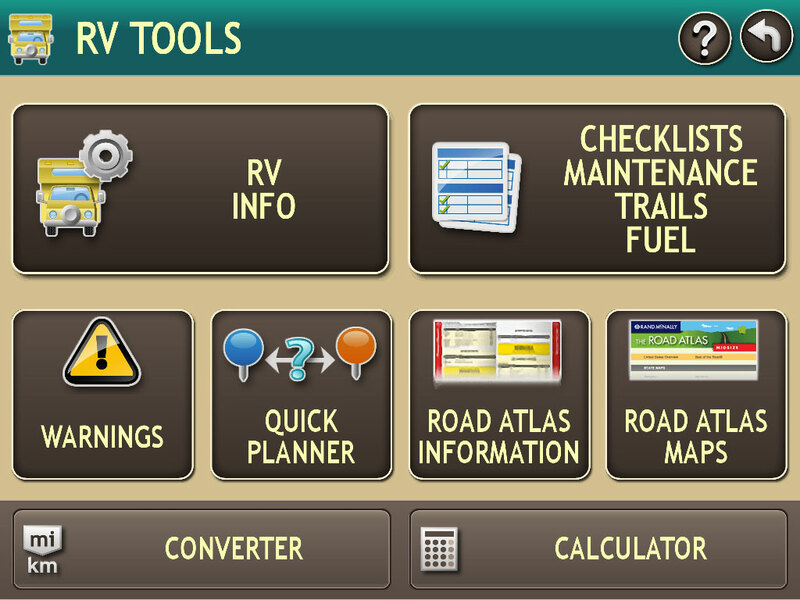 Yet another thing to consider when setting up your RV GPS before going on the road is customizing the item brightness. It sometimes depends on the weather, but it is common knowledge that a unit that features a glare-free screen is the best choice in terms of display. Adjust the brightness level depending on your own needs and preferences, because, after all, you will be the one doing the driving. Learning to work with a new GPS takes time and consistency. Just be sure to look at all the features of the device before hitting the road.